The Educational Theatre Association’s National Conference is held each year to provide educators with a wide range of professional development including workshops, intensives, and learn and create labs. In 2019, the Educational Theatre Association is marking the 90th anniversary of its student organization, the International Thespian Society. And we are having our party in the best theatre city in the world: New York. Join us and help celebrate the EdTA/ITS story — past, present, and future — as we reflect on our mission of honoring student achievement and commitment to educators like yourself. We all have a theatre story to tell and we want to hear yours — in workshops, networking sessions, and keynote presentations that will reflect on our amazing history, share the knowledge and skills you are teaching your students today, and imagine where we are going in the ever-changing 21st century landscape of theatre artistry and education. 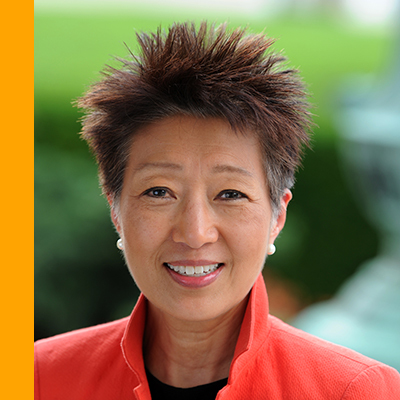 Jane Chu completed her term as the 11th chair of the National Endowment for the Arts in June 2018. With a background in arts administration and philanthropy, she is also an accomplished artist and musician. Among several programs that she initiated at the NEA, Chu launched a national Musical Theater Songwriting Challenge for high school students to identify the next generation of songwriters and provide these students with opportunities to be mentored by Broadway artists. The agency received a 2016 Special Tony Award and 2018 Drama League Award for its support of theatre and musical theatre. During her four-years at the NEA, Chu traveled to all 50 states and to 200 communities to visit visual artists, musicians, dancers, actors, writers, educators, and administrators. She led the agency through three consecutive increases in the endowment budget. Before coming to the NEA, Chu was president and CEO of the Kauffman Center for the Performing Arts in Kansas City, Mo. She was born in Shawnee, Okla., and raised in Arkadelphia, Ark., the daughter of Chinese immigrants. She has bachelor’s degrees in piano performance and music education from Ouachita Baptist University, as well as a master’s degree in piano pedagogy from Southern Methodist University. Additionally, Chu holds an M.B.A. from Rockhurst University, a Ph.D. in philanthropic studies from Indiana University, and four honorary doctorate degrees. 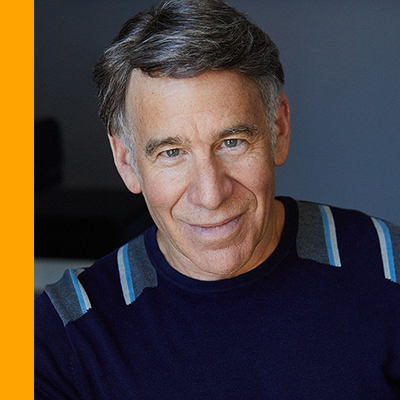 Stephen Schwartz wrote the music and lyrics for the current Broadway hit Wicked and has also contributed music or lyrics to Godspell, Pippin, The Magic Show, The Baker’s Wife, Working, Rags, and Children of Eden. He collaborated with Leonard Bernstein on the English texts for Bernstein’s Mass and wrote the title song for the play and movie Butterflies Are Free. For children, he has written songs for two musicals, Captain Louieand My Son Pinocchio. Schwartz has also worked in film, collaborating with Alan Menken on the songs for Disney’s Enchanted as well as the animated features Pocahontas and The Hunchback of Notre Dame and wrote the songs for the DreamWorks animated feature The Prince of Egypt. His first opera, Séance on a Wet Afternoon, was produced at Opera Santa Barbara and New York City Opera. A book about his career, Defying Gravity, has been released by Applause Books. Schwartz has been inducted into the Theatre Hall of Fame and the Songwriters Hall of Fame and has been given a star on the Hollywood Walk of Fame. His honors include three Academy Awards and four Grammy Awards.